(HSE-MS). They are meant to provide independent assurance that HSE risks are adequately controlled and managed, and to identify areas for further improvements. A key component to continuous improvement in HSE is an effective audit and inspection program. Health, Safety and Environmental Audits and Inspections offer a strong return on investment when conducted by experienced professionals. Our audits provide our clients with the ability to identify and recommend improvements in their operations, projects and management programs. We are thoroughly familiar with Health, Safety, and Environmental regulations and know how they apply in real-world circumstances. 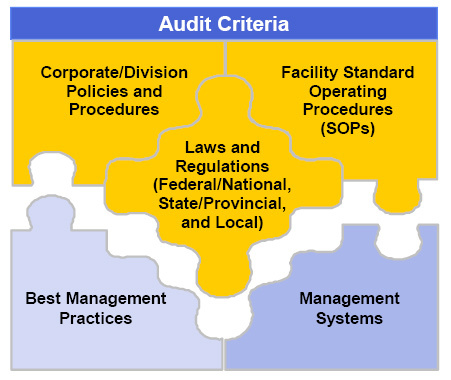 Since auditing has emerged as a systematic process intended to verify compliance with established standards and, in some cases, to review the effectiveness of management systems, it tends to be most effective for those HSE issues that are well defined by specific audit criteria.